Angus gets ready to shake an enormous pear tree. We are Abbey and Angus, the apple lovers at Rocky Ground’s core. We spend our autumns in a junkie Subaru cruising Maine’s countryside for the best cider fruit. These are wild apples and ancient varieties unlike any you’d find in a grocery store. They are often inedible, a mixture of bitter, tannic, and insipid flavors that when fermented, make a deliciously complex cider. We press the juice in the fall and early winter on the family homestead in Newburgh. It then goes into barrels, fermenting for up to nine months. We bottle the cider in early summer. Some of it stays exactly as it was in the barrel, smooth and still. The rest gets zapped with a bit of our honey for bottle conditioning; the honey ferments in the corked bottles, trapping carbon dioxide (a by product of the fermentation), and creating a wonderfully bubbly cider. All of our ciders ferment naturally. This means that instead of adding a specific yeast strain we allow the wild yeast that already lives on the apples and in our immediate environment to ferment the cider. We are inspired by the ciders of England, France, and Spain, where cider culture was never lost. At the same time, we strive to produce ciders true to Maine tradition and terroir. Our family home dates back to 1803 though the property’s orchard was abandoned 70 years ago. With the help of family and friends, we have spent the last five years clearing and replanting the orchard. 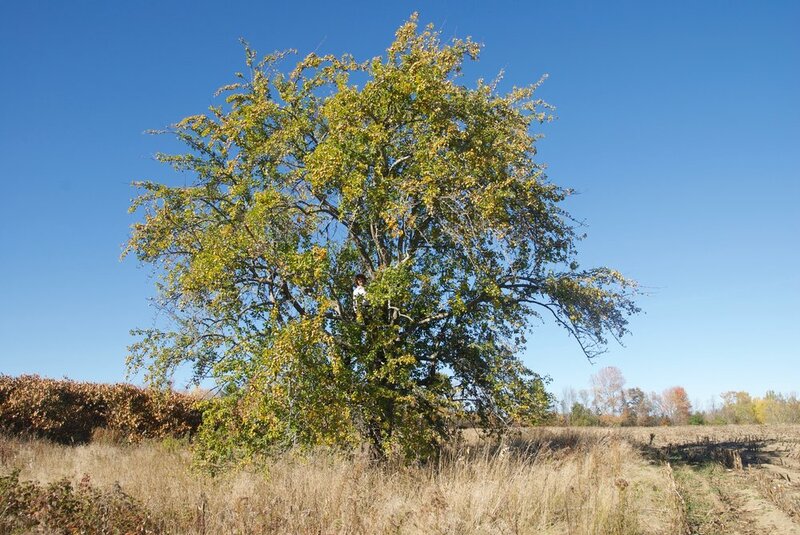 Every time we find a promising cider apple, we plant a tree of that variety in our orchard. Rocky Ground will eventually be home to not only heirloom apples that were historically grown in this state but also to many wild apples that sprouted by chance but continued to grow because they were well suited to the soils and climate of Maine. Abbey sorts apples before they're ground and pressed.